HOURS: In 2017, Camp is open Monday June 26 through Friday August 11 and closed on Tuesday July 4. Looking for a summer camp near Hoboken New Jersey? 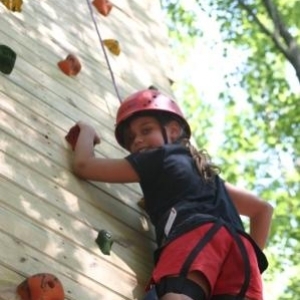 Camp Riverbend is a great Summer Day Camp in nearby Somerset County. We even offer transportation for campers*. Camp Riverbend is a great place for your children to grow and also to meet and make new friends. Campers come to us from all over Northern New Jersey, including Gillette, Short Hills, Edison, Millington, New Vernon, and other towns throughout Essex, Union, Hudson, Morris, Somerset and Middlesex counties. With 50+ acres of camp facilities including 4 swimming pools, and a convenient location along the Passaic River it's no wonder why kids love Camp Riverbend!